It’s impossible to discount the importance of adrenal system health and that’s why this product’s balance of adrenal support for dogs is simply perfect. 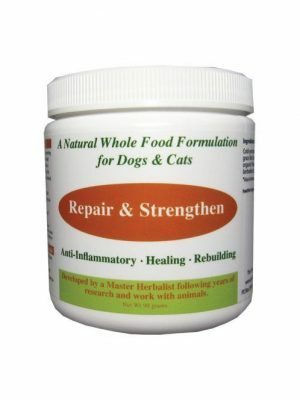 By supporting everything from healthy skin and coat to endocrine system function, this adrenal support product is just the thing for total pet health. Of particular importance, this herbal formula provides relief of the common symptoms of Cushing’s disease in dogs and cats. How do you test adrenal function? The adrenal glands are vital because they produce a host of hormones like adrenaline and steroids like cortisol. These elements help keep the body in balance and manage a series of functions. Cortisol is released as part of the stress response in dogs (and humans). It’s also a retort to low blood glucose concentration and helps the process of increasing blood sugar. It metabolizes fat, proteins and carbohydrates and aids in the suppression of the immune system. Adrenaline is produced by the adrenal glands and is familiar to anyone with a pet or anyone with the slightest response to stressful situations. Its function helps the body cope with stress by doing little things like dilating the pupils, supplementing blood sugar levels and increasing blood flow to the muscles – all for the purpose of incapacitating whatever “danger” the body observes. What is Cushing’s Disease? How do you diagnose Cushing’s? With that in mind, Cushing’s disease occurs when the dog’s system produces too much cortisol. Also known as hyperadrenocorticism, this condition is most common in older dogs and involves an “overcharging” of adrenal gland function. This is often caused by a benign tumor on the pituitary gland. There are a number of symptoms for Cushing’s disease, including a change in a dog’s bathroom habits, excessive thirst and urination, weight gain, hair loss, a lack of energy, and even a sagging belly. By supporting the adrenal gland with an all-natural herbal formula, this product addresses the symptoms of Cushing’s disease and sponsors balanced function of the pituitary and adrenal glands. 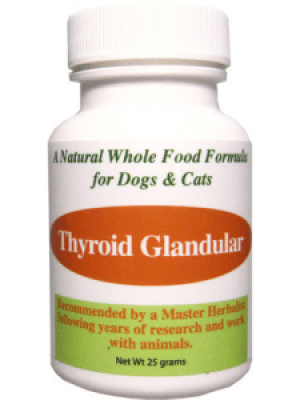 This safeguards the overall health of the endocrine system, thereby leading to a dog better prepared to handle overzealous stress responses. This herbal supplement features a host of all-natural ingredients, including ashwagandha, astragalus, burdock root, cleavers, dandelion, ginseng, horsetail, licorice, and silica. By using these natural herbs, this treatment provides 100 percent herbal support for Cushing’s disease and holistic adrenal, pituitary and hypothalamic health. This product does not just suppress the symptoms of stress-related conditions. It restores vigorous adrenal system function, providing a firm approach to overall body health. This will help dogs with the worrying symptoms of conditions like Cushing’s disease. This formula helps assuage excessive urination and encourages strong growth of skin and hair. This tincture should be used two to three times daily. Drops can be administered into food or can be safely and easily delivered straight into the mouth. Cats and dogs under 20 pounds should use three to five drops daily, while cats and dogs weighing 20 to 50 pounds should adhere to a dosage of six to eight drops a day. Dogs weighing in over 50 pounds can use a dosage of 10 drops per day for best relief.